Stimulating the brain with implanted electrodes is a successful, but very drastic measure. Researchers from Eindhoven University of Technology, Kempenhaeghe, Philips Neuro and Gent University will therefore be working on a method to stimulate the brain using electrodes that are placed on the head rather than inside it. Their goal is to customize treatment for patients with severe epilepsy. Incidentally, they will also settle the scientific discussion about the efficacy of non-invasive electrical neurostimulation. 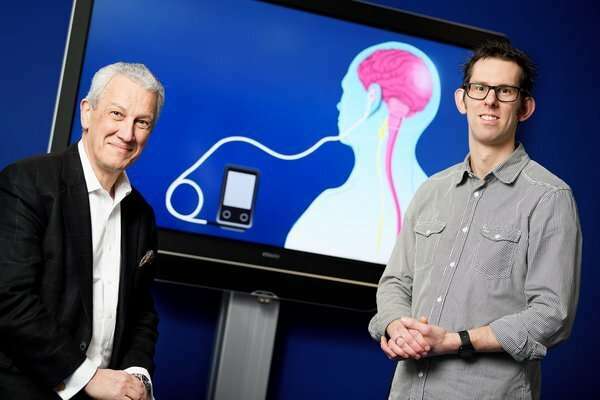 The researchers expect a new Philips medical instrument to provide the solution for focal seizures; seizures in a specific part of the brain. 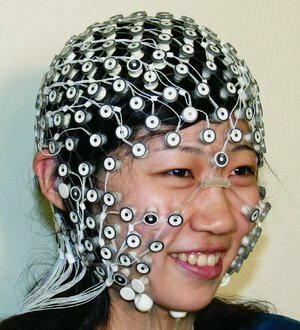 This is a system with 256 electrodes that not only measures brain activity (EEG), but can also apply very targeted current. Project leader and technical research leader Rob Mestrom of Eindhoven University of Technology: "This instrument therefore offers us the unique opportunity to see more accurately than before where exactly in the brain an epileptic seizure takes place. We can then stimulate precisely that point and measure the effect directly. This gives a personalized approach, because it is tailored to the readings of the individual patient." The basic idea of the project, called PerStim, is simple, says Paul Boon, clinical research leader and professor at UGent and TU Eindhoven. "When we have located the source of the seizure, we target an electrical stimulus at that spot that is exactly the opposite of the measured activity. As a result, the seizure should be 'extinguished'. We will investigate this with both direct and alternating currents." The first step in the research project is the development of a personalized calculation model to accurately reconstruct the epileptic focus. The researchers will then determine the stimulation parameters to achieve the desired focus of the stimulation. Then they will look at how they can best measure the effect of stimulation. The results will gradually be applied in clinical trials. Two Ph.D. students and a postdoc will be appointed for the project. The research, with a budget of 1.9 million euros, is part of Eindhoven MedTech Innovation Center (e/MTIC), a broad research collaboration between TU/e, Kempenhaeghe and Philips, among others. Last year, the efficacy of non-invasive brain stimulation was questioned in Cell. In a study using measurements in the brains of recently deceased subjects, most of the electrical stimuli did not reach the intended area at all. Paul Boon: "Our research will enable us to answer the question of whether it works, and we will show you how you can apply this in a personalized way to focal epilepsy."